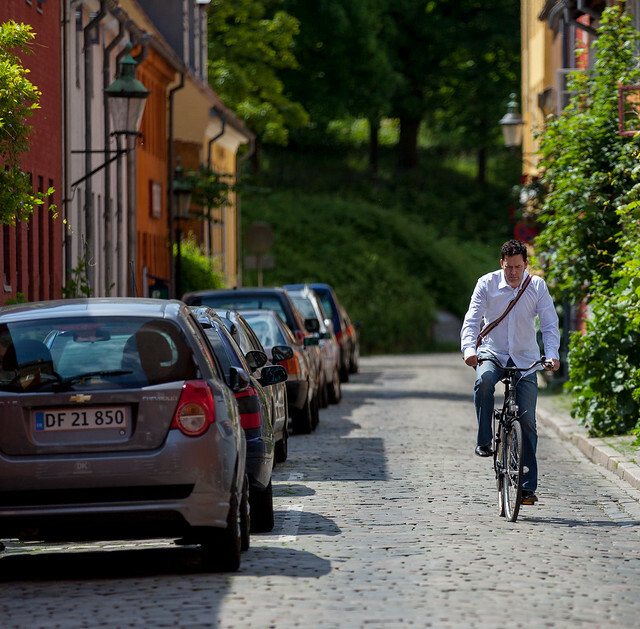 Copenhagen provides the perfect backdrop for its busy cycling scene. The million or so active cyclists in greater Copenhagen are engraved into the fabric of its infrastructure. 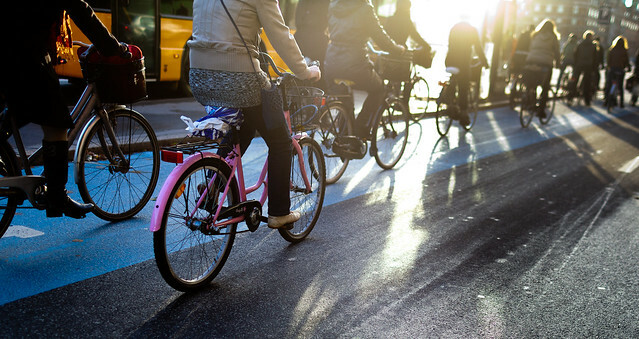 With cycling providing for mass commute as well as individual trips. 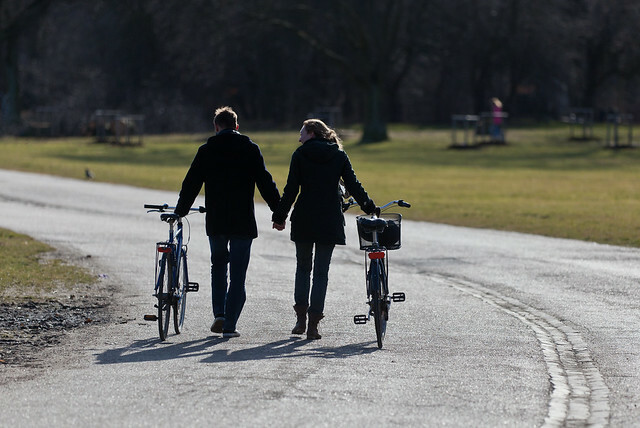 Most recreational areas allow for cycling except a few selected city centre parks. 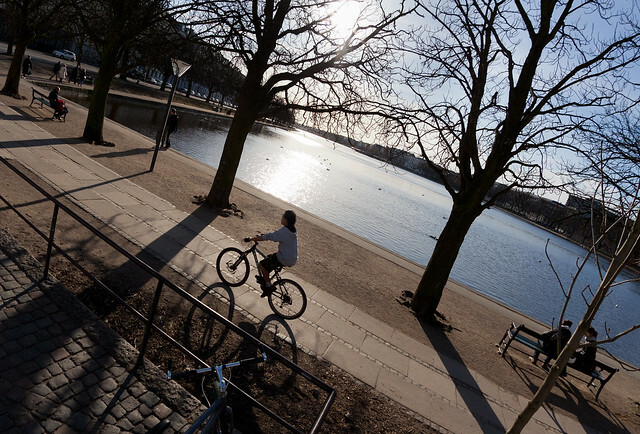 However, only recently cycling was allowed around the four main lakes that outline the city centre. 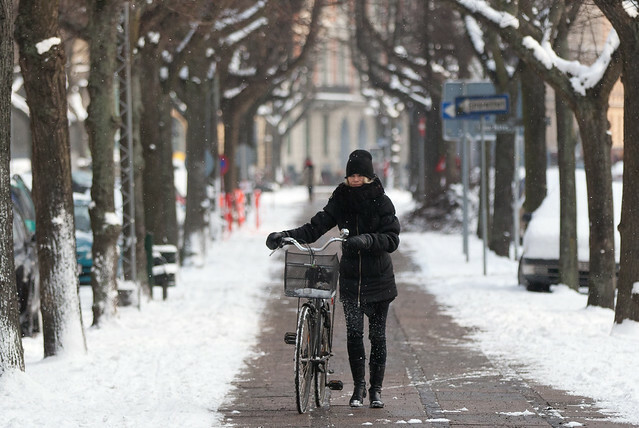 Even when the city is draped in white its cyclists provide colour and life.